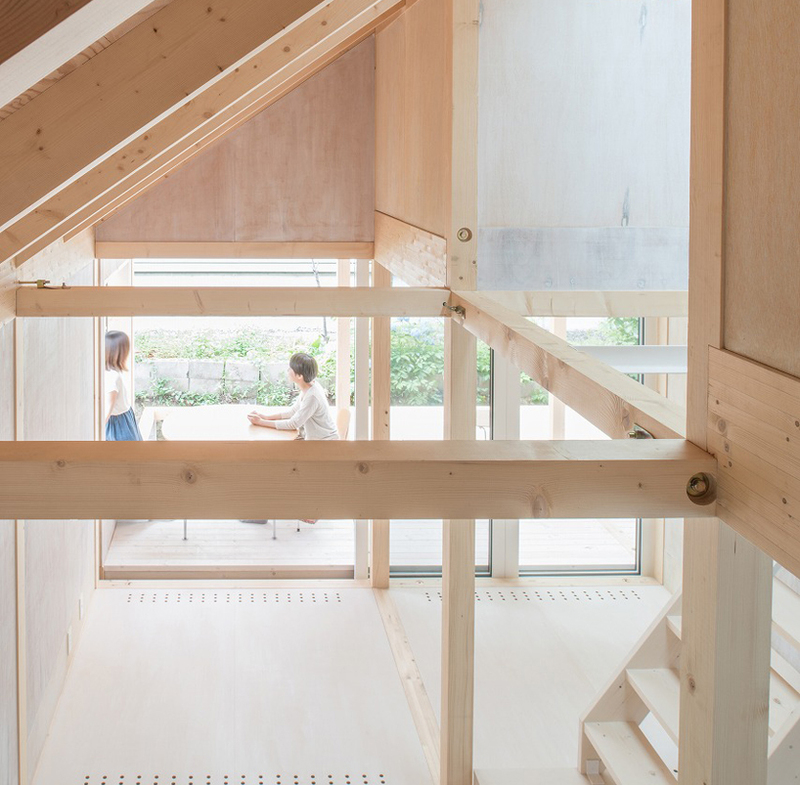 Taking full advantage of the summer sun, this residence in Japan stays warm without the need for supplemental heating thanks to a greenhouse-like sun terrace. 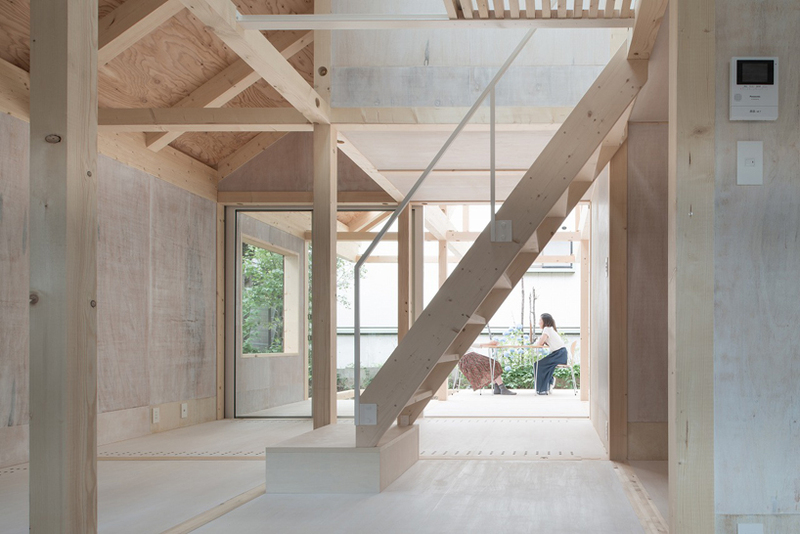 Yoshichika Takagi architects designed the minimalist two-story house in Sapporo with an exposed timber frame, economical plywood walls and clear polycarbonate sheeting for a low-cost, low-maintenance home filled with natural daylight. 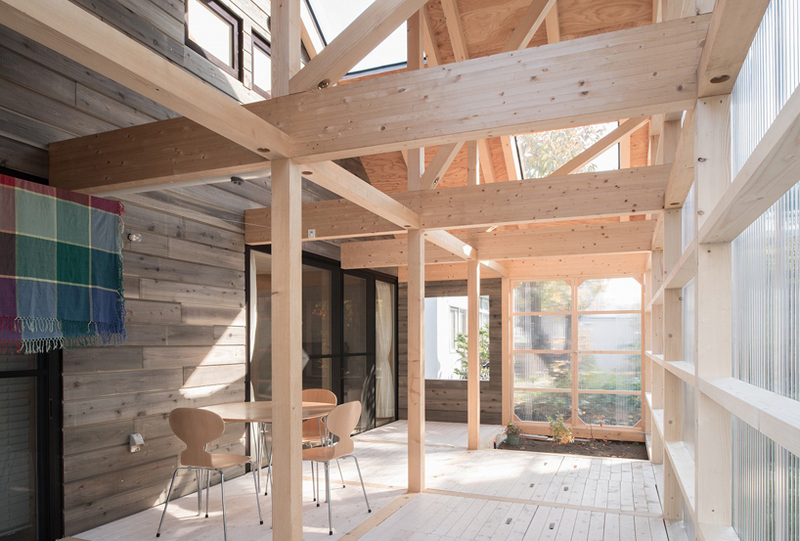 The double-height sun room features transparent walls on three sides as well as several oversized skylights, mimicking a greenhouse to keep the home warm throughout the cold months. 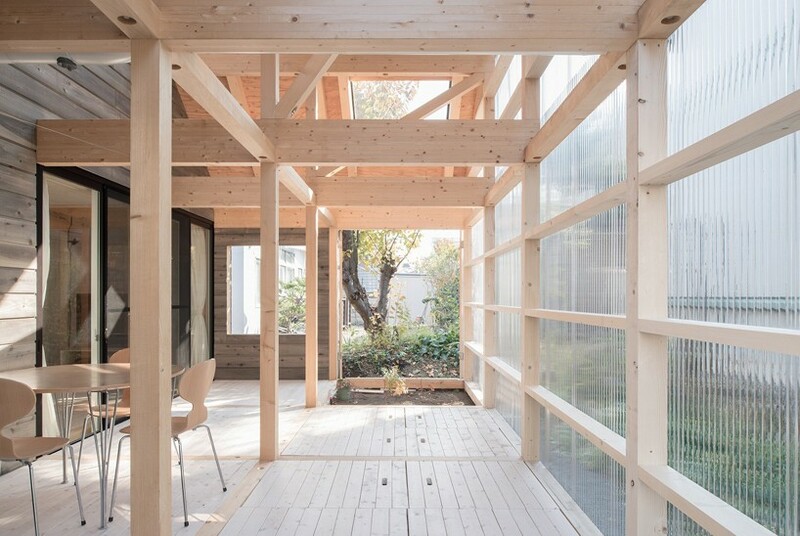 In warmer weather, it functions as an indoor/outdoor living space, partially opened to the garden. 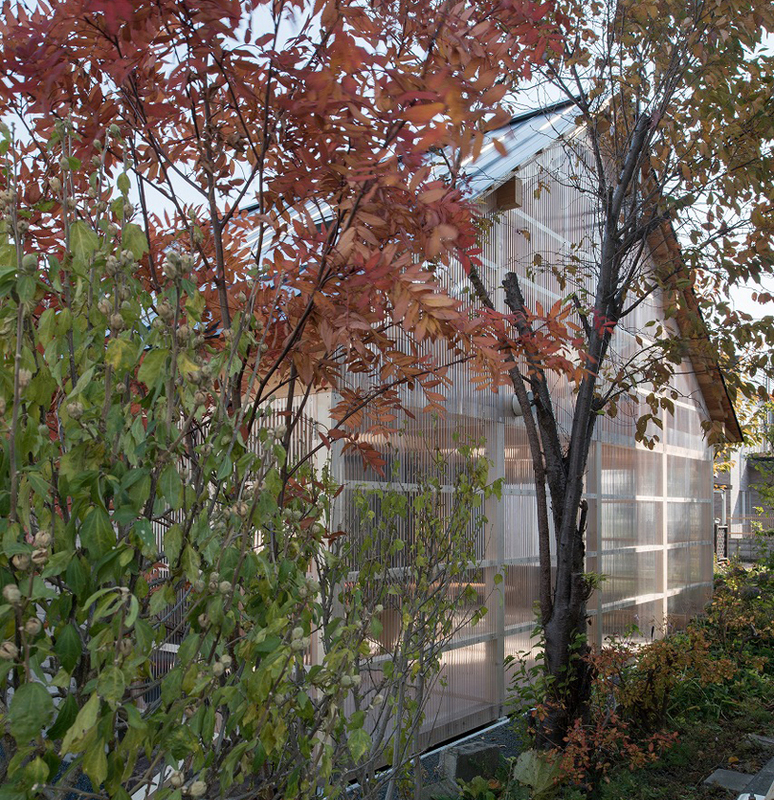 This greenhouse makes the compact home feel larger than it really is, especially with the open-plan layout of the ground floor providing views straight from the front door out to the backyard. 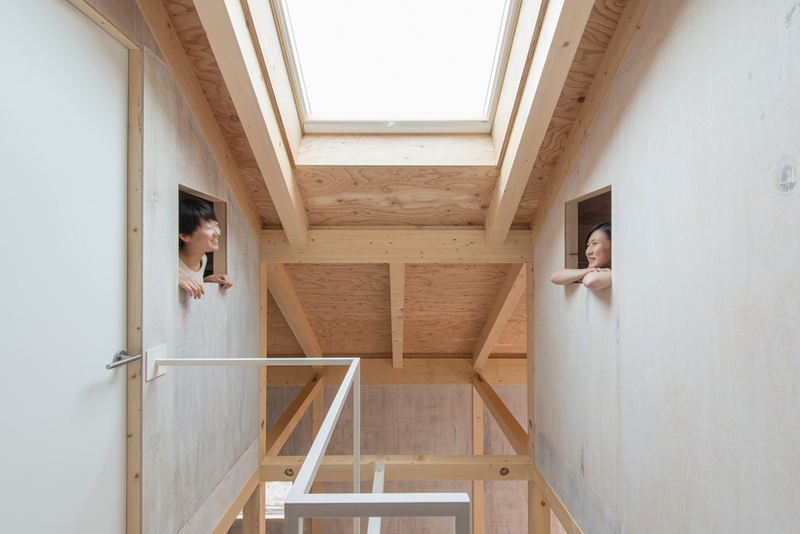 “It could be positioned on the extension of the Japanese traditional earth floor or the sun room seen in houses of Hokkaido,” say the architects. 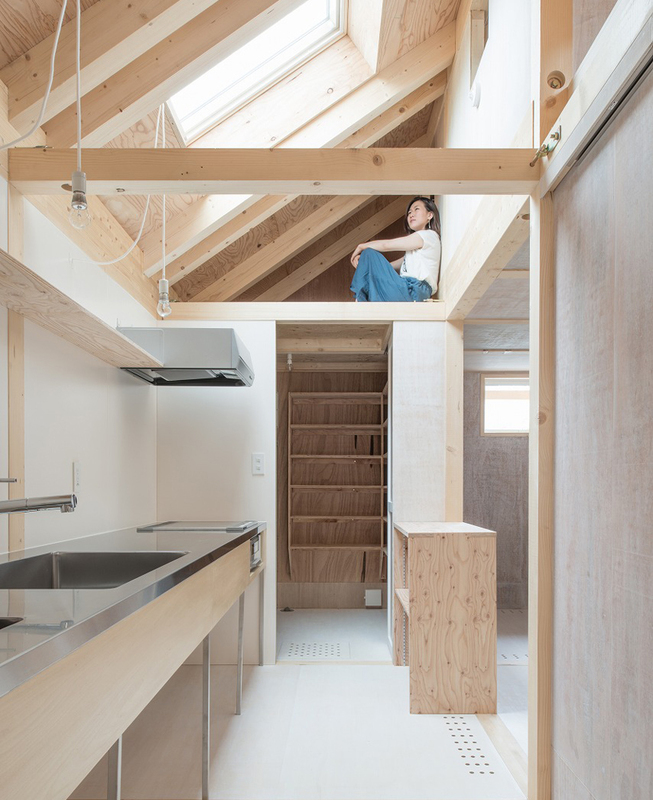 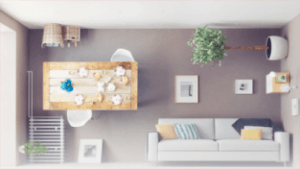 The house measures just 570 square feet (53 square meters), with small walled-off rooms upstairs and fun little lofts and hiding spaces throughout. 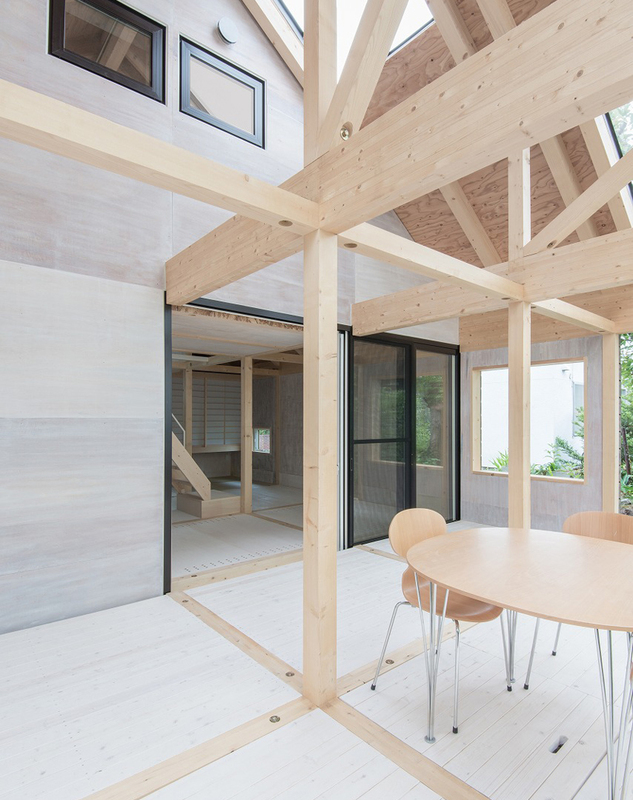 The pale timber framework adds visual interest with criss-crossing lines, and additional skylights bring even more daylight inside.